With the popularity of video-sharing, more and more people would like to share videos or enjoy videos online. This tutorial is to show you a detailed demonstration of converting videos downloaded from YouTube, Google Video, Hulu, MySpace, etc. to Video CD compressed by MPEG-1. First of all, make sure that the YouTube videos and Google videos communicating online are of the Flash Video file, or FLV file format. Next, you should choose a good FLV to VCD Converter, like this one named Pavtube FLV Converter CUDA, which can convert FLV to VCD, convert FLV to SVCD, convert FLV to DVD and more without quality loss. You can convert FLV (Flash Video) to VCD with the FLV to VCD Converter program only if you have Pavtube FLV Converter installed. Click on the " Add FLV " to import your target FLV files into the FLV to VCD Converter program. Here you can do some more advanced editing according to personal taste. The video can be cropped regarding individual needs. You can also reduce the play duration by the "Trim" function. Here you can show your personality fully by adding logo and text. Only when you check "Add image watermark", can you add images by browsing files in the red pane, and check "Text" alike to present your own ideas. Click "Settings" and then you can do some adjustments of the FLV settings depends on personal needs. 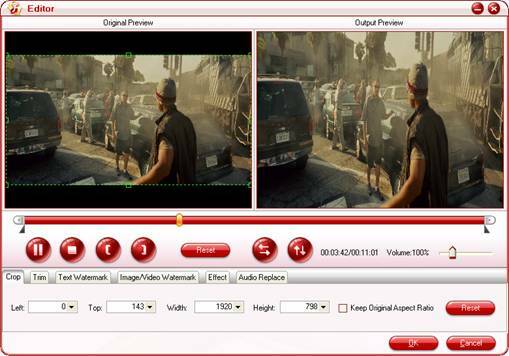 Choose the export format in the red box. This is the "Convert" interface, click "Start" to kick off the conversion. Once the whole FLV to VCD Conversion is done, you can transfer the Converted Movies to Your Portable devices for enjoyment with ease. Or, you can use the Moyea FLV to VCD Converter tool to convert FLV to SVCD, convert FLV to DVD and more. To a large extent, it is really a good timesaver to convert FLV to VCD and more. FLV, or Flash Live Video file, is a preferred file format that is designed for web playback, offering high rates of compression to deliver video over the Internet using Adobe Flash Player, even Adobe Flash Player 10. FLV content cann' t be played back directly but must be embedded in (or linked from) an SWF file. You create (or download) a "container" SWF file from which to play the FLV file. The most common approach is to use an SWF file that functions as a media player with screen and playback controls. Notable users of the FLV format include YouTube, Hulu, Google Video, Reuters.com, Yahoo! Video and MySpace. Video CD uses MPEG-1 for video compression and .DAT as the file extension.